Hartford Union Station is the main railway station in Hartford, Connecticut, United States. . The historic station building is near the State Capitol Building. It is a Richardsonian Romanesque building designed by George Keller and built in 1889. A 1914 fire required that it be completely rebuilt, and in 1987 the interior was renovated. It has been listed on the National Register of Historic Places since 1975. 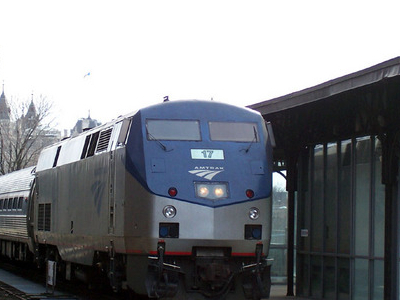 It is served by what is now Amtrak's New Haven-Springfield Line which branches off from the Northeast Corridor in New Haven. Of the 12 Connecticut stations served by Amtrak, Hartford was the third busiest in 2011. Here's the our members favorite photos of "Railway Stations in Connecticut". 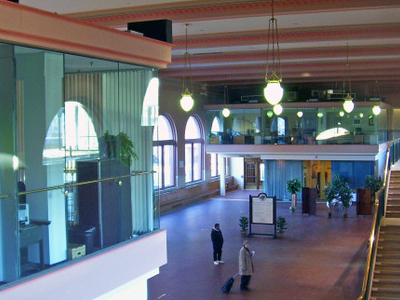 Upload your photo of Hartford Union Station!